This multi platinum artist will perform at the Coca Cola Dome, Johannesburg on Saturday, 15 December 2012, thereafter at the Outer Fields, Moses Mabhida Stadium, Durban on Monday, 17 December 2012 and ending the SA leg of the Carpe Diem tour with two concerts at the Grand West Arena, Cape Town on Wednesday, 19 December and Thursday, 20 December 2012. Ticket sales open at Computicket on Monday, 01 October 2012 at 09h00. Book your tickets from 09h00 on Monday, 01 October 2012 at Computicket by calling 0861 915 8000, visit http://www.computicket.com or visit your nearest Computicket service centre. 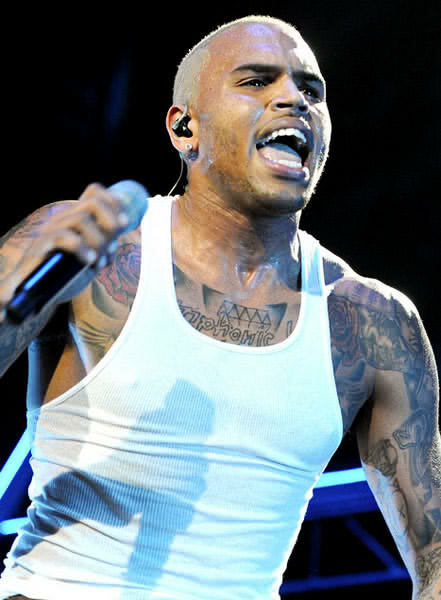 For more information visit http://www.chrisbrownsatour.co.za or follow Chris Brown on Twitter @CBSATOUR. Undeniably South Africa’s cheekiest and most audacious awards ceremony, the Feather Awards is a celebration of public figures – in the entertainment, sports and business fields – that the gay community finds inspiring, amusing, or just plain scandalous. Renowned for it’s take-no-prisoners, tell-it-like-it is approach, the Feather Awards has consistently delivered an evening of hilarity, heartfelt tributes, and unpolitically correct, yet well-placed truth-telling. In an exciting development this year, for the first time, the event will be screened on SABC1 – taking the event to the entire nation. Drama Queen – These are personalities we read about every Sunday over breakfast, their lives revolve around a lot of dramatic behavior and situations. Best Styled Female – These are the ladies who consistently kept up their style throughout the year. Best Styled Male – The men that have remained stylish throughout the year. Musician of the Year – musicians we love to listen to on, and off stage. Fag Hag – Need we say more?? They never leave their home without their favorite accessories – a gay friend. Diva Extraordinaire – These women always carry themselves well, and have a strong & dignified presence. Socialite of the Year – Seen at every event! Whether it’s the opening of an envelope or an erection of a stop sign…. Hunk of the Year – These men just ooze that X-factor! You look at them and you just want a strong hug. Role Model of the Year – They never put their foot wrong in the public eye, and can be relied on to contribute positively to society. Although Rihanna’s film debut didn’t perform remarkably well at the box office, Rih-Rih is still working to become a bona fide movie star. Depending on how you view remakes, one potential role may help her get there. According to The Sun, Rihanna is itching to reprise the role of “Elvira Hancock.” Those of us who love Scarface know that is the role originally played by Michelle Pfeiffer. Now, the last time a Black actress tried to do a role previously played by Michelle Pfeiffer, it didn’t turn out too well for her. 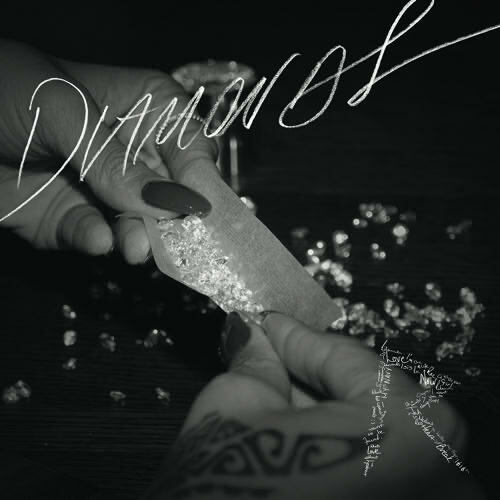 For the new single cover, Rihanna has a glitzy image of herself rolling up a blunt full of diamonds….instead of her usual weed. According to press release, “Diamonds” will make its global premiere on Wednesday, September 26th with an 8am launch at radio stations worldwide. An hour later, at 9am EST, the track will be available on iTunes. The track, produced by her go-to superduo Stargate, will be the official first single off Rih’s 7th studio album. Also, the “Only Girl In The World” is kicking off her Diamonds World Tour 2013 at the Niagara Center in Buffalo on March 8, 2013, with North American dates scheduled through May 4th at the new Barclay’s Center in Brooklyn. Chad Johnson and Evelyn Lozada are officially divorced. A judge in Florida signed off on the divorce early this morning, one month after Evelyn filed for divorce from the NFL star. Chad initially didn’t want to sign off on the split and waited until last week before finally accepting reality and submitting divorce papers of his own. But Evelyn claimed the marriage was irretrievably broken after he allegedly headbutted her in the face during an argument over a condom receipt she found in his car. Chad has since had Evelyn’s face tatted on his leg and insists he will eventually repair the relationship. Sources close to Evelyn say it ain’t gonna happen.